Halloween Massacre in NYC. Terror attack in NYC with Halloween Massacre 8 dead 11 injured. Terror suspect was on a diversity visa, which is basically a lottery system to gain a permanent green card, which he received in 2010. Trump wants to get rid of this immigration lottery and any type of 'chain immigration.' Vote for NYC mayor is next week. Many are horrified by another term by Bill de Blasio. Cuomo says it was not terrorists intention to kill anyone, it was to disrupt our lives and bring chaos, so continue on with your life. Six of the 8 dead were tourists from other countries. Tony Podesta's attorney sends a threat of a potential cease and desist letter to Tucker Carlson complaining of defamation of character as he steps down from company that bears his name as Russia investigation moves closer. This is a possible tactic used by the Podesta brothers in the past to get media to shut up. Rand Paul and Chris Christie say President Trump may not seek re-election. North Korea nuke site collapses trapping 100 and death toll is already at 200 and climbing. Bernie Sanders has a 71% approval rating. Least approval goes to Jeff Flake AR, Robert Menendez NJ, Warren Hatch UT, John McCain AR, and Mitch McConnell KY has lowest approval ratings. Weinstein's original accuser, Rose McGowan, gets charged with drugs after clothing left on plane back in January tests positive for drug residue. Washington Post calls November 4th the Antifa Apocalypse. 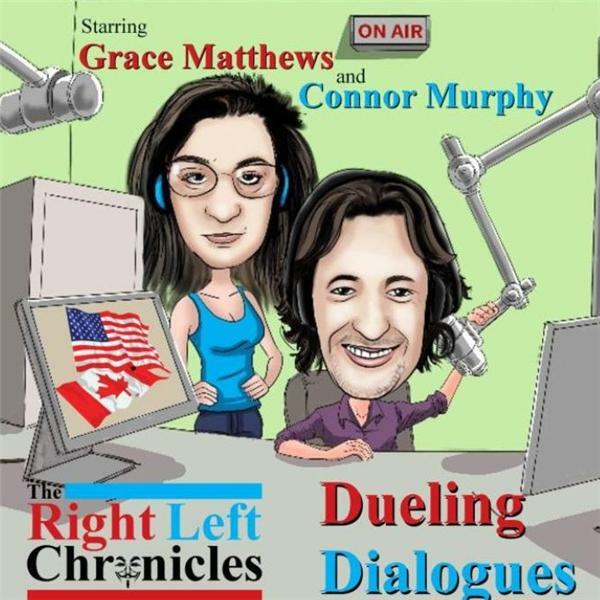 See Dueling Dialogues Podcast Ep. 23. Dartmouth puts 3 psychology professors on leave, pending a sexual harassment investigation. UK offers ISIS members free housing. UK also announces no surgery if you smoke or BMI over thirty percent muscle mass. Special shout out thank you to the Christin Fernandez Daily for featuring us twice in a week.